Is the price of competing in big time sports at California universities hurting the academic bottom line? That is the concern being raised by a growing number of detractors who are critical of big spending in college sports. The competition to be the best both on and off the field has resulted in bigger salaries and state-of-the-art facilities in what is being called the college athletics arms race. NBC Bay Area teamed up with the Investigative Reporting Program at UC Berkeley to take a close look at the numbers. We discovered that in the last decade, while state funding for UC Berkeley has steadily declined, the athletic budget has nearly doubled. The majority of the current athletic department budget is funded by television contracts and distributions from the Pac-12 conference and NCAA, tax-deductible donations, and ticket sales. But the spending increase has many calling into question the University’s priorities. Integrative biologist Dr. Leslea Hlsuko says her department has felt the pain of recent cutbacks that have impacted both researchers and students. “We are offering fewer and fewer classes to students,” Hlsuko told NBC Bay Area. Over the past decade, Hlsuko says she has seen funding for her department reduced while funding for athletics continues to grow. “What are we spending? It’s a program out of control,” Hlsuko said. Professor Laura Nader has been teaching at UC Berkeley for 52 years. She shares Hlsuko’s concerns. Since 2004, UC Berkeley’s athletics budget has nearly doubled, increasing from $45.1 million, to a projected $89.6 million in 2013. Despite the increase, the University points out that campus support of athletics has been in decline in recent years, down from a high of nearly $11 million in 2009. In this fiscal year, a projected $7.5 million of the athletic department’s budget will come in the form of student fees and institutional support. However, campus officials say that the athletic department will kick back an overhead fee of more than $3 million to the academic side this year, yielding a projected net subsidy of $4.4 million. Berkeley Biology Professor Gary Firestone admits budget cutbacks have had an impact on academics. “There’s a little bit less support staff for teaching, less money for graduate student instructors, less support overall,” Firestone said. But Dr. Firestone argues that intercollegiate athletics are critical to Berkeley’s mission and success. “I am absolutely convinced that money is coming to academic programs because of having athletics on campus, and athletics at a high level, the Division I level,” Firestone said. UC Berkeley athletic director Sandy Barbour agrees. “I certainly believe that intercollegiate athletics certainly contributes richly every day to who we are and how we feel about ourselves as a community,” Barbour said. In recent years, state support of higher education has decreased and students have been forced to make up the difference. In less than a decade, Berkeley students have watched their costs increase by over two-and-a-half times. This year, California residents attending Berkeley pay $7,492 per semester in tuition and fees. As recently as the 2003-2004 academic year, in-state students paid less than $3,000 per term. Over that same period, Berkeley’s share of state support dropped by $160 million. In 2003-2004, direct state support at Berkeley totaled $429 million or 28 percent of the total campus budget. For their part, students contributed $247 million to the budget, or 16 percent of the total. By 2011-2012, the picture changed dramatically. State funds dropped to $269 million and total tuition dollars jumped to $624 million, 12 percent and 28 percent of the overall campus budget respectively. But as many of the academic departments are tightening their belts or cutting back, Cal athletics has announced an agreement to pay former football coach Jeff Tedford up to $5.5 million not to coach football, as part of his settlement with the University. In addition, according to e-mails obtained from Louisiana Tech University, Berkeley will pay Louisiana Tech $500,000 to buy out the contract of Tedford’s replacement and secure Sonny Dykes as Cal’s new football coach. Critics argue that these payouts serve as yet another example of misplaced priorities. UC Berkeley Chancellor Robert Birgeneau maintains that despite the growing athletic budget, Berkeley has not lost sight of its priorities. Birgeneau pointed out that the campus’ contribution to intercollegiate athletics makes up only 0.31% of the University’s $2.3 Billion overall budget—a budget which has also seen growth, despite the decline in financial support from Sacramento. In addition, the university has reduced its funding to the athletic department in recent years, from$10.7 million in 2009 to a projected 4.4 million for 2013. “If we didn’t have those income generated sports, our shortfall would look more like those in the Ivys which are 10’s of millions of dollars,” Birgeneau said. 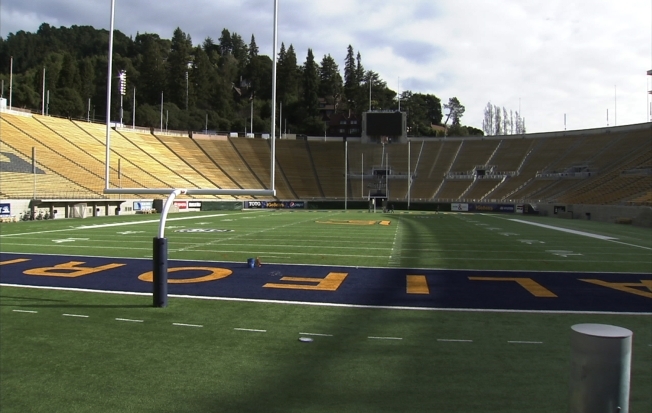 Berkeley’s athletic department is not alone in requiring institutional support to fund its operations. According to the NCAA, out of about 340 Division I schools, only 23 athletic programs make money. The rest require subsidies from the institution or student fees to cover costs. Former NCAA president Cedric Dempsey serves as a consultant for university athletic programs around the country. He fears that college sports has become less about academics and is turning into a business. Dempsey says that if the arms race continues, more and more universities will be forced to ask at what point does the cost of maintaining a top flight Division I athletics program become too high?